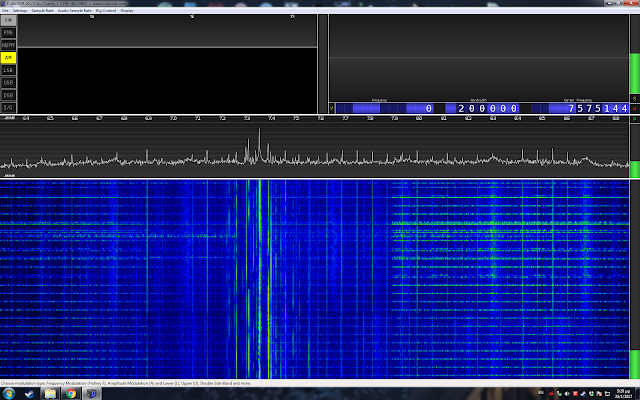 I recently bought a new RTL dongle that supports Direct Sampling that allows frequencies less than 40Mhz. 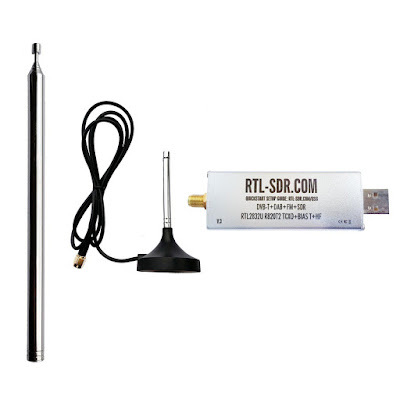 In particular, the model I ordered was the RTL-SDR BLOG V.3. DONGLE that was really cheap compared with other solution. It still can't reach the quality of the other more expensive receivers, but it still a step up. The Dongle comes with a long external antenna. Fitipower FC0013 24-500 MHz Band survey. RTL Blog Rafael Micro R820T 24-500 MHz Band survey. Receiving HF with a lot of noise. You can buy the receivers here: SDR Blog Receiver with Rtl2832u ADC Chip .